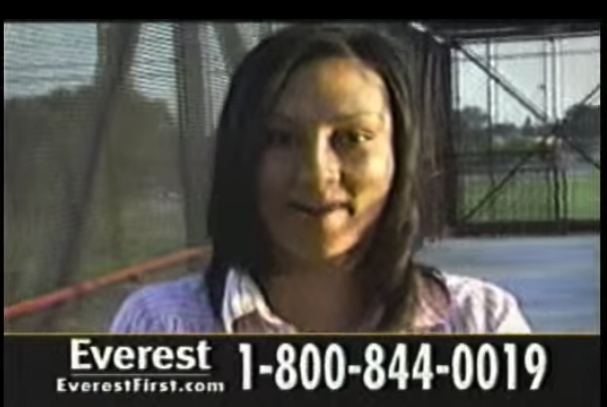 For continuity’s sake, we hope the eventual buyers of Everest keep the shouting lady and just overdub her voice with the school’s new name. While most of us spent the July 4th weekend relaxing and trying to not think about work or school, the folks at faltering for-profit education company Corinthian Colleges — operators of Everest University, WyoTech, and Heald College — were busy slapping For Sale signs on almost all of their campuses around the country. Okay, so maybe no one from CCI was actually placing those campuses on Craigslist, but the company did reach a deal with the Dept. of Education that will result in the sale of 85 schools and the closure of 12 others during the next six months. Corinthian, which had been receiving around $1.4 billion a year in funding via federal student loans, is currently being sued or under investigation by numerous state and federal authorities for its recruitment and marketing practices. When CCI failed to turn over documents related to these investigations, the U.S. Dept. of Education put a hold on its access to loan funds, effectively ringing the death knell for the company. In late June, CCI and Education announced they had reached a tentative agreement to wind down the company’s operations through the sale of campuses and teach-out programs at campuses that were not sold. The two parties were unable to reach a final deal by the July 1 deadline, but talks continued until Thursday evening, when they announced an arrangement that will release $35 million in student aid, under the condition that it can only be used to pay for approved education activities. These include student refunds, payroll expenses, accounts payable, interest and related fees, and related professional fees. Corinthian can not use federal funding to pay dividends, legal settlements of lawsuits or investigations, or debt repayments. The school must hire an independent monitor that will have access to Corinthian personnel and budgets “to ensure prudent financial management and see that taxpayer-funded federal student aid dollars are spent well.” This monitor will be responsible for reviewing the campus sales and the teach-out plans. The dozen schools that will enter the teach-out phase must stop accepting new students. CCI must also create a reserve fund of at least $30 million for refunds to students. “We have accepted an operating plan for Corinthian Colleges Inc. that will protect students’ futures and fulfill the Department’s responsibilities to taxpayers moving forward,” U.S. Education Under Secretary Ted Mitchell said. The actual campuses being closed are not listed in the operating agreement [PDF], though a previous court filing had specifically called out all Heald College campuses as going up for sale. What’s still not known is whether students at any of the for-sale or teach-out campuses will be given the option of ending their education and having their federal student loans discharged. Federal law allows for students at closed schools who choose to not continue their education to apply for a 100% discharge of their student loan obligation. Since the sale/teach-out programs could keep those students moving forward with their schooling, the government hopes to not lose out on the $1 billion or more that it could lose through discharge. In the wake of the initial agreement, a group of 12 U.S. Senators wrote to Education Secretary Arne Duncan, suggesting that students should be given the option of taking the discharge even if their campus is sold to another college. Additionally, the Senators called on Education to ensure that the buyer(s) of these campuses is not also under investigation. Previous Am I Completely Screwed If My Student Loan Co-Signer Dies?